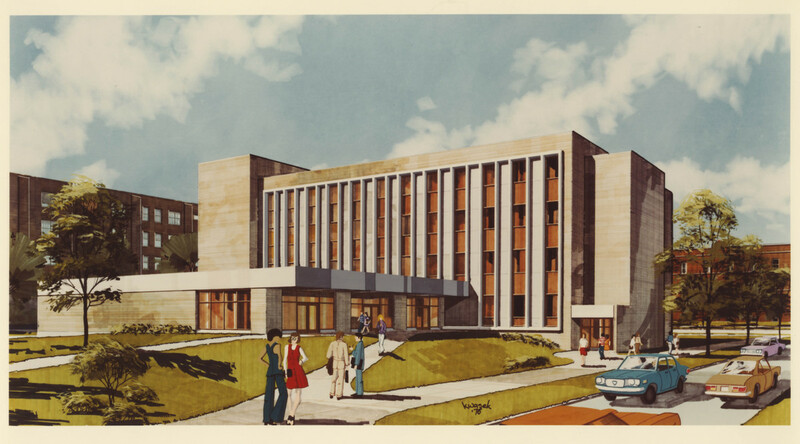 An artist's rendering of the planned Flanner Science Hall. Flanner Hall is named for Thomas U. Flanner, a noted philanthropist and businessman. The building was designed to accommodate modern chemistry teaching and research. 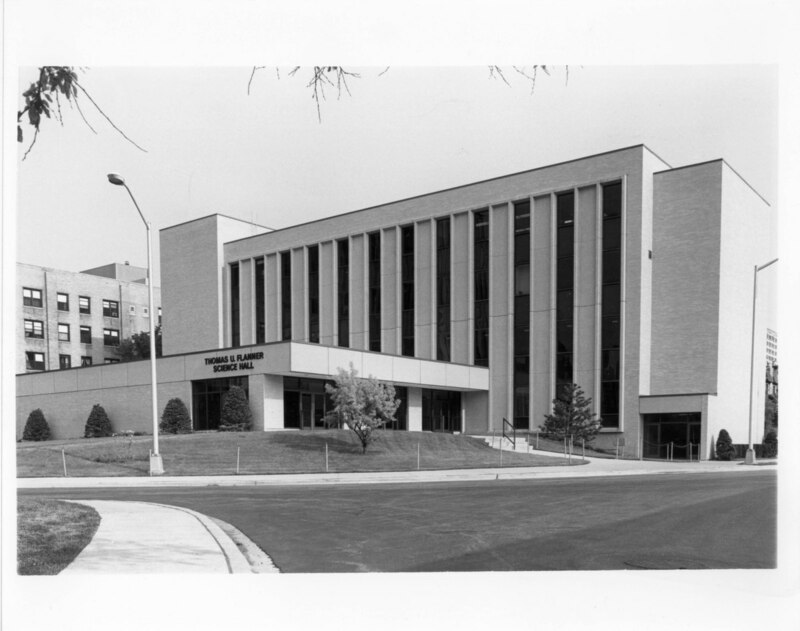 Flanner Hall was completed in 1976.